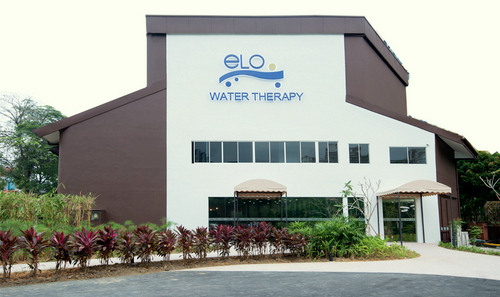 ELO Water Therapy Centre has two locations in Singapore, a flagship centre at Belvedere (38C Belvedere Close) and a ELO Lab water therapy concept within City Square Mall (180 Kitchener Rd). An innovative water therapy concept, ELO Water Therapy Centre offers personal bath treatments, where guests are able to relax and enjoy the benefits of soaking in warm, oxygen-rich ELO water in the complete privacy of a contemporary yet tranquil setting. The flagship two-storey bath facility at Belvedere Close is set amidst a lush green backdrop in the prime area of Tanglin Road, providing the ideal sanctuary to relax and recharge. Belvedere Water Therapy Centre facility features a total of 6 luxurious Premium rooms and 11 spacious Classic rooms, featuring the ultimate comfort with cosy rest areas, private showers, and exclusive vanity areas, plus you can also grab nutritious meals and drinks and unwind at the cafe and lounge spaces that have a complimentary Wi-Fi. ELO Lab at City Square Mall, meanwhile, has 4 Premium rooms and 16 Classic rooms, each with its personal bath. Additionally, special pet baths are separately available for animal companions. Each ELO Bath Session lasts for a total of 50 minutes with each cycle consisting of 14 ELO Bath Sessions – ideally over 14 consecutive days, with a rest period of 10 days between cycles. You can also choose from packages of varying durations, and the regimen may be customised for individuals. For optimal results, the company recommends that you start drinking ELO Drinking Water for at least a week before undergoing ELO Bath Sessions so that your body tissue is able to gradually adjust to the higher oxygen content. The official ELO Water Facebook page, which also covers the therapy centre operations, is located at www.facebook.com/elowaterofficial. Following the Facebook page, you’ll learn more about the company’s events, new products & services, and much more.